Electrolysis can definitely change your life in a positive way. This procedure will eliminate your unwanted hair and in the process, give you a new self-confidence. How does Electrolysis work? 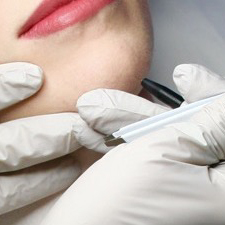 An electrolysis treatment involves the insertion of a sterile probe, the same size as the hair, into the follicle opening down to the dermal papilla. It is the part of the follicle that contains blood and nerves and feeds the growing hair. If the papilla and the regenerative cells surrounding it are destroyed, the hair will be permanently removed. Hair can be removed from almost any part of the body. Some common areas for women include the hairline, eyebrows, top of the nose, cheeks, sideburn area, upper and lower lip, chin, neck, throat, shoulders, back, chest, breasts, abdomen, arms, legs, bikini line, hands, feet, toes, fingers, inside the nose, and inside the ear.